Park Square Barristers is a modern, friendly set with a real family feel. We pride ourselves on being unstuffy and approachable, both internally and towards clients. Michael Collins is the head of recruitment at Chambers. We offer exceptional opportunities for working alongside talented colleagues. Many of our barristers have national reputations; indeed, 40 of our former members have been appointed to the judiciary. We are commercially minded, and appreciate the perspectives brought by people with prior careers. We are in line with the national picture on diversity. Park Square Barristers offers a supportive, welcoming and non-competitive working environment for both members and support staff. Teamwork is a core principle: we believe in sharing knowledge and ideas, rather than individualism, and we’re always happy to help each other. 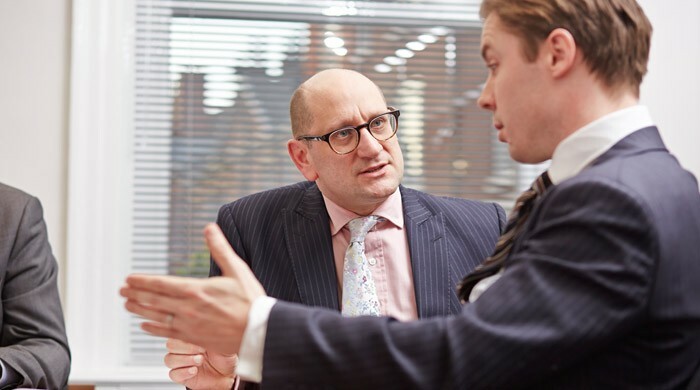 Thanks to each barrister having the backing of a strong team, clients can have confidence that any stand-ins will perform conscientiously and very well. We are keen to ensure that juniors have a voice. Diversity is very important to us – not just because it’s the right thing to do, but because of our own history. We consider candidates for recruitment on merit alone. We are proud to have, and to encourage, strong representation among women and ethnic minorities, and we have a range of sexual orientations and religious beliefs, as shown in our 2018 diversity findings. Our policies & procedures page details our policy on non-discrimination & equal opportunities.